A big thank you to Murris from familyhype.com for sharing this piece with us! 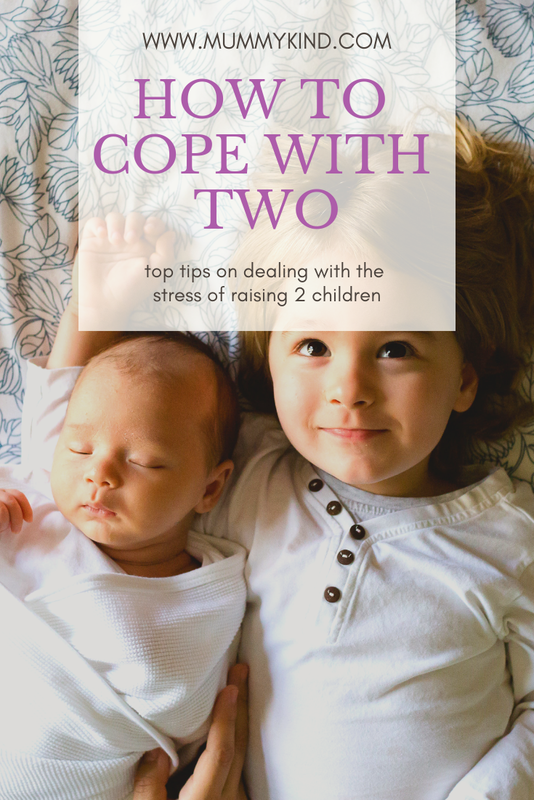 We all know how stressful one child can be, and these tips for coping with two are great! Having a second child on the way can be amazing, but it can also be the most stressful time of your life if you’re not prepared. Here are some ways you can deal with the stress and have the best time of your life. Sibling rivalry is a trope that doesn’t have to exist. Inform the sibling to be about what is going to happen. You can show them books, videos, or other information about the child, and perhaps they can think of what the child’s name is and help with the room for the new baby. For more information on how to tell your child about it, go to familyhype.com. Obviously, they may be jealous, and their feelings are valid. Just make sure that they realize they will be loved just as much, too. If they express jealousy, don’t guilt trip them, but ensure them that everything is gonna be okay. Also, the firstborn’s opinions may change. At first, they may love their baby brother or sister. However, whenever the baby grows older and becomes more independent, there may be some challenges. For example, the toddler may take toys or mess with the sibling in different ways. Be vigilant. Preparing the food and making the beds of two kids can be a challenge. If your firstborn is old enough to be in school, they can learn to dress themselves, prepare snacks, and be more independent. Teaching your child about adult tasks is always a good idea, but besides that, it can help make everything so much more easier. You as a mom need to make sure that your mental health is also at the forefront too. As the older sibling, they should learn how to protect their baby sibling against any danger. The child is now the caretaker too, and they can help feed, burp, rock to sleep, and take care of the baby in general. Don’t let the child feel like they aren’t being treated equally. Laying out a budget is a good idea for any situation, but especially for having a second kid. One kid is costly enough, so when you have two, that is a bit of problem. Think about the cost of everything and set aside even more money to cover it. Make sure you have all expenses paid. Eliminate any unneeded expenses. Cook more at home. It doesn’t take long for you to set up a good budget that works for you. Find that budget, and you’ll feel much better afterwards. With the firstborn, there is often overprotection and perfectionism. Everything has to be completely safe for the baby, and there shouldn’t be anything that goes wrong. However, as you give birth to the second baby, some parents realize that they can be more lax on their second born. You don’t have to worry as much. With that said, you shouldn’t be lazy, but you can relax a little more. One of the best pieces of advice we can give you is to take care of yourself. No one is going to take care of you, after all. Stressing is natural, but too much stress can hurt you. Instead, take some time to wind down. Work out a little. Get outside and take a walk. Make sure you’re sleeping and perhaps have someone else help with the chores. Take some time to yourself too and work out any stress you may have. Perhaps you can go out for the weekend and have your parents watch the kids. This may seem like a cop-out, but not only do the grandparents love watching their grandkids, but you need time to recover from the stress. While some stress is good, too much can hurt you in the long run, and it’s something you should avoid at all times. Parenting is a part of life, so why not make it fun? Show new places to your children. Play games. Make memories. Don’t spend most of your life stressed if you don’t need to. Parenting with two kids doesn’t have to be a challenge; it can be the start of an even bigger family that can go on many adventures.